Feel the stoke and experience the passion we have for SUP. A sport for all fitness levels and skills. The progression moves from flat water to surf, depending on the client’s goals. Safety essentials, including wind, weather and tide basics, are included in the instruction. Beginner SUP Students will start in flat water and can progress at their own pace. This class focuses on fundamentals and fun, and is often highlighted with sea life spotting. 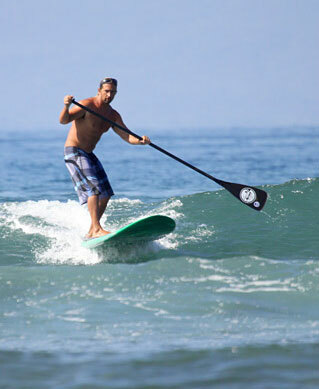 Intermediate/Advanced SUP Students may concentrate on wave riding and positioning with a private lesson.